Karly and Lisa explore their best and worst business investments. They start the episode in fits of laughter when Karly can’t seem to think of any ‘bad’ investments… which is hilarious, considering her $100k business failure. Lisa shares mistakes she’s made in her business; investing in the wrong people. They chat about the key lessons they’ve learned through the mistakes they’ve made… how to decide what is a worthy investment, and what is not… and they discover there really is no bad investment. 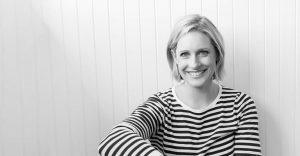 7:30 – Lisa shares that time she invested in a copywriting service and reflects on how where she was at maybe have sabotaged that experience. 10:00 – Lisa talks about the lessons she took on board from investing in the wrong person for a big job. 14:30 – The tricky balancing of releasing control while maintaining control. Karly explores the relationship she has built with what she considers her best investment, her editor Neil. 18:30 – What are Lisa and Karly’s biggest expenses/investments in their businesses. 21:00 – How do you decide what you are going to invest in? 25:00 – Investing in a fast track, over investing $$$$ learning how to do all the things. And now, make a great investment of your time into the Keeping Good Company facebook group. Be sure to answer the questions on the way in.